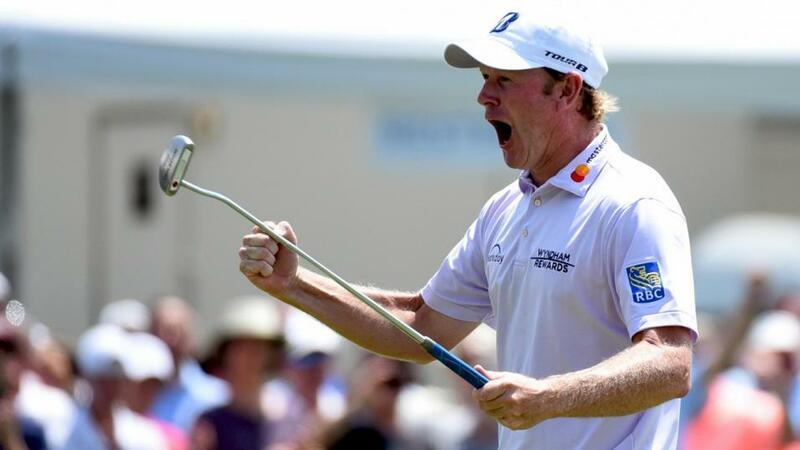 "The last time the PGA Tour visited a Donald Ross par 70, Brandt Snedeker wrote himself into the history books with a 59." Weather forecast for Newtown Square, Pennsylvania: The weather may worsen from Friday but for Thursday's opener we have temperatures in the early 80s for the first tee-time at 11.19 while the final groups (last tee-time 13.20) should experience the peak mercury reading of 90 degrees halfway through their rounds. Winds are light at 6-7mph throughout the day for the 70-man field. First-round leader history: There isn't anything much of use for Aronimink as the only past course form involved full fields back in 2010 and 2011. This year, just over two hours separate the first and last groups out. The consistent weather adds to the feeling that there's no advantage for any tee-time. The last time the PGA Tour visited a Donald Ross par 70, Brandt Snedeker wrote himself into the history books with a 59. That was at Sedgefield and, although Aronimink is hardly its twin brother, there are some notable similarities so why not another fast start form the American. That lightning start that paved the way for victory came just three weeks ago and, after sitting out the Northern Trust, he returned with T31 at the Dell Technologies. He began slowly that time (an inevitable mini-hangover perhaps) but the American finished 66-68 to give him some momentum coming to Aronimink. Snedeker is one of just seven players in the field to have played it and tied 16th in a full field back in 2010 adds a little more to his case this week. Back him at the industry-high 55/1. Marc Leishman won last year's BMW Championship, setting the tone for his memorable week at Conway Farms by shooting a first-round 62 to lead on his own after the opening lap. It may be a different course this week but I like the Aussie at 45/1 to pull off a repeat performance. Leishman went one lower when landing us the FRL money with an opening 61 at the Byron Nelson Championship in May and he continues to make good starts. He was T8 after round one last week, shot a 65 to open with at Firestone (T7) and was also in the top 10 after Thursday's play at the Quicken Loans. Take him at 45s to burst out of the gate again. He's a little short in the outright market but this could be a good way to support Hideki Matsuyama. The Japanese former World No.2 is really coming on strong again and last week's fourth place at TPC Boston was his best finish since January. When at his best, Matsuyama has a habit of starting quickly and he's been hinting at a return to form with a string of decent openers, firing two 67s, a 68 and a 69 in his last five first rounds. One of the 67s helped him sit fifth after day one of the Northern Trust while he opened with 65 to lead the way at Memorial back in June. A couple of years ago, Matsuyama shot 66 to grab a piece of the first-round lead in the Tour Championship at Donald Ross's East Lake and his 64-65 finish at Sedgefield last month was another sign that he likes this week's designer. Add him in at 30/1. Tee-times: Matsuyama 11.30 (1st), Snedeker 12.36 (1st) Leishman 12.47 (10th).